Pope Francis has named Msgr. Edward M. Deliman as a new auxiliary bishop of Philadelphia. 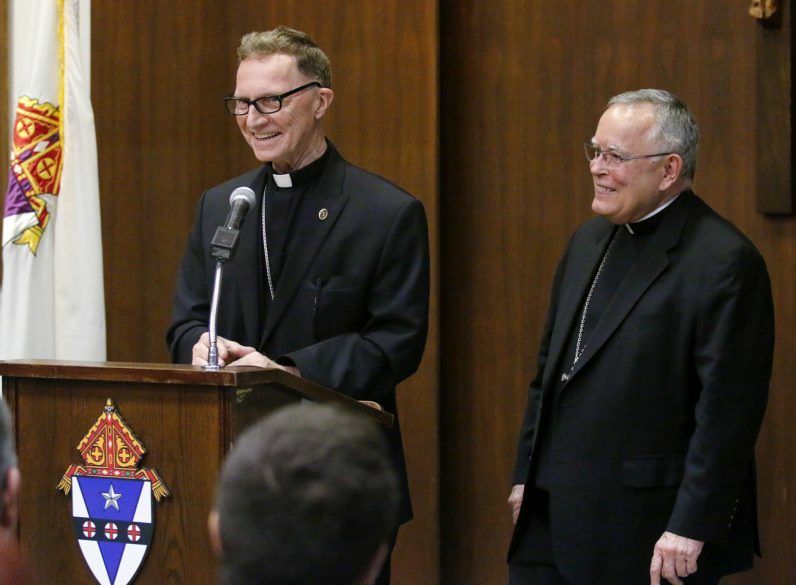 Archbishop Charles Chaput introduced Bishop-elect Deliman at a morning news conference May 31 at the Archdiocesan Pastoral Center in Philadelphia. Currently the pastor of St. Charles Borromeo Parish in Bensalem, the 69-year-old bishop-elect was ordained in 1973 and has long experience working with Hispanic Catholics in parishes of the Archdiocese of Philadelphia. During his ministry he has been pastor of five parishes that have a significant Hispanic population. He also has served extensively in youth ministry, priestly formation and as a mentor for younger priests in their first pastorships. Bishop-elect Deliman will be ordained a bishop Aug. 18 in the Cathedral Basilica of SS. Peter and Paul. An auxiliary bishop assists the archbishop in the administration of the archdiocese. In Philadelphia, the three current auxiliary bishops and their specific areas of responsibility include Bishop Timothy Senior, rector of St. Charles Borromeo Seminary; Bishop Michael Fitzgerald, Catholic education and five administrative offices; and Bishop John McIntyre, archdiocesan Catholic Human Services and evangelization ministries. The auxiliary bishops also are responsible for groups of parishes in their episcopal region. The bishops also confer the sacrament of confirmation in archdiocesan parishes. Archbishop Chaput said the administrative role for the bishop-elect would not be determined for some time after his ordination this summer. But he added Bishop-elect Deliman would visit all the parishes of the archdiocese with Hispanic populations. My father John Deliman sends his best wishes to his cousin Bishop Elect Deliman. John had planned to attend the ordination on Thursday, but his age (he’s 90) makes it difficult to travel. Our thoughts and prayers are with the Bishop Elect tomorrow, May God continue to bless him. We at St Charles and Our Lady of Fatima get to share Bishop Elect Deliman with Philadelphia Archdiocese with this appointment. We are truely blessed to work with him and to know him. NOW 2 Bishops who were Pastors at St Agnes. My congratulations to Bishop-elect Deliman. Twice over the years he has served our Parish (St. Agnes in West Chester), the second time as Pastor. 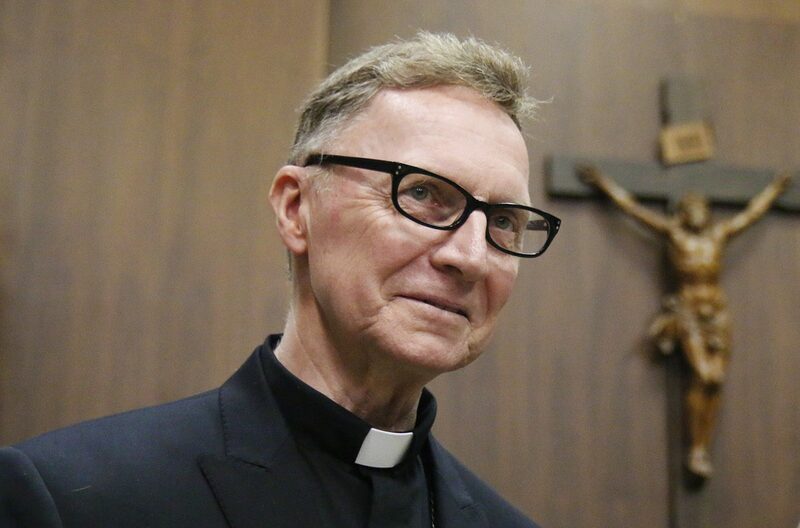 His quality of a strong dedication to his community and flock will now be a great asset to the entire Archdiocese. Thank you Archbishop Chaput for this moment of grace and blessing to our Archdiocese.